Men - Will another country other than Brazil ever win a men�s SWTACH-FIVB World Tour event in Norway? Led by Emanuel Rego, Brazilians have been atop the Stavanger podium in each of the seven previous events with 15 overall medals. Emanuel has six gold medals and a bronze while earning $92,000 in Stavanger prize money. Ricardo Santos has four gold medal finishes and $74,750 in Stavanger earnings. 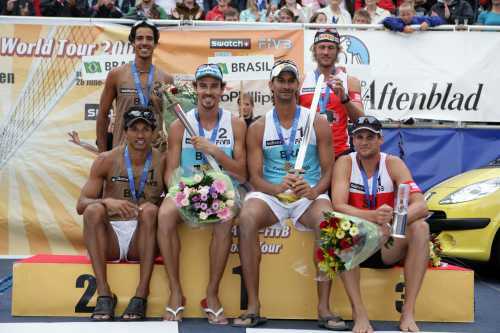 Except for the 2003 event, Brazil has captured at least two podium spots in six of the seven men�s Stavanger events. The 2003 event saw Argentina and Australia on the Stavanger podium with 2004 Olympic Champions Emanuel and Ricardo. Norway�s top finishes are fifths by Vegard Hoidalen and Jorre Kjemperud in 2001 and 2002. 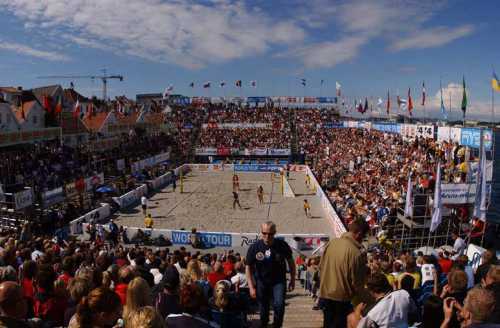 Women - The southwestern Norwegian port city hosts a women�s event for the fifth-straight year as the �famed� dockside court was the site of history in 2005 when Greece�s Vassiliki Arvaniti became the youngest player (20 years, 3 months, 15 days) ever to win an �open� SWATCH-FIVB World Tour event. Nila Ann Hakedal and Ingrid Torlen placed fifth in 2004 for the top finish by a Norwegian team in the four Stavanger stops. Adriana Behar and Shelda Bede of Brazil have placed fourth in each of their three Stavanger appearances.